How To Make Your Wedding Cards Pop! Wedding cards don’t need to be a stale and predictable exercise without any character or creativity. This is a moment where the guest can bring out their true nature as they attend the celebration of a friend, family member or colleague. Amid all of the colour and love that will be on display for the big day, why not offer a card that illustrates how you feel and how much you value their companionship? 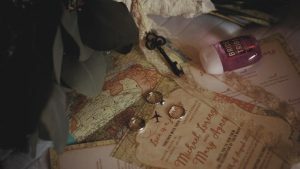 The Do It Yourself (DIY) method opens up a series of possibilities where you can upgrade a basic card idea and transition it into a wonderful gift that will be cherished by brides and grooms alike. This is a field that does not require major financial investment, nor even a great degree of hours toiling away at the desk. All that is needed is some application and common sense to hunt out design tips from those that know the practice. Let us explore a series of concepts that will help you upgrade a standard card to a great one. What could be more personable or intimate with your wedding cards than to add a photograph of yourself with the couple or with the newly married spouse who you have a strong connection with? Some might view this design technique as a bit too self indulgent, but if it is a true reflection of your relationship and it is presented in an organic manner, then there is no need to be concerned by those outside perspectives. The alternative option is to utilize an image of the couple you have taken of them as a pair, utilizing that moment to design around the image. If you are short on words for a message to leave blank space, then let the portrait tell the story for you. After all, a picture says a thousand words! The actual printing of the wedding cards is a domain that can allow you to make this item tangibly pop. When thermography is used, or raised printing as it is sometimes known, the resin is sprinkled when the ink is wet before it is exposed to heat. This process then enables the letters to be raised, a practice that is affordable but also incredibly effective. Lettering on a printed surface might not appear to be an area that opens for much creativity, but it is the case if the guest is using thermography to bring out the texture for your card. Giving your wedding cards a signature and distinctive envelope is another means of letting this item pop. Think of borders, fonts, messages and even glitter to make an impression even before the card is opened. 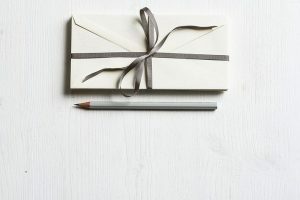 The important point to remember here is that consistency from the card to the envelope is helpful, as it reiterates the theme that you want to convey. A unique couple logo is a tactic that allows wedding cards to really be formal and aesthetically beautiful from the envelope to the card itself. It is a type of branding that some couples genuinely delight in as it is an illustrative representation of the union that has taken place. It is going above and beyond to have a designer go down this path and many guests usually outsource this through a local outlet or an online freelance specialist. Others who have a grasp of digital software can insert the initials of the couple into a font setting and create the design themselves. The good news for those hoping to create wedding cards that really pop is the ability to scour the internet and local newsagent outlets to seek their inspiration. Sometimes a hard copy in person can help you to glean concepts about the fabrics and materials that can be utilized, as these items are more than just an image on a digital screen after all. By scanning your phone or desktop for concepts from all corners of the globe, you will pick up on styles and fabrics that might not have initially come to mind. The spectrum in this field is varied, and can include anything from vintage to modern, portrait to formal, rustic to nautical, destination to casual or bohemian to alternative. Access to digital templates with wedding cards can offer the canvas for you to paint over – so make some enquiries and begin the creative process. There are hundreds of other techniques that you can embrace when attempting to make wedding cards standout from the crowd. From fluorescent designs that glow in the dark to customised postage or rubber stamps to stitched stationery and minimalist aesthetics for modern couples, the choices are almost endless. The important facet in this regard is to offer an item that is genuine and that it reflects your personality onto the material. If it meets that standard, then it will be cherished irrespective of the colour, the presentation or design option.